Filming IBM Internet of things in Munich. 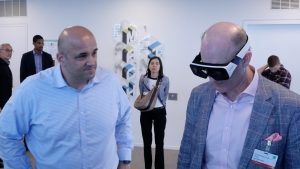 We were asked by our client to film a two-day conference in the Watson Building on The Internet of Things. Keynote speakers from around the world talked and demonstrated various high tech solutions what we might see in our homes, offices and vehicles in the very near future. This has to be one of the most exiting conferences we have ever filmed. The Internet of Things refers to the growing range of connected devices that send data across the Internet. The Internet of Things is now a reality due to the convergence of several technologies, including wireless communications, micro-electrical systems and of course, the Internet. The headquarters are located in Highlight Towers in Munich, the exterior is a striking, dual mirrored tower design, while the interior architecture has plenty of futuristic flair. 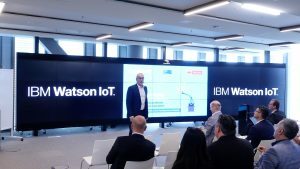 IBM invested $200m into its Munich headquarters, the 25 floors occupied by IBM were kitted out with smart building technology created by Siemens to complement the Watson IoT system. The building spans more than 24,000 sq ft and comprises of employee workspaces, tech labs – known as ‘collaboratories’ – and a showcase centre for IoT technology innovations. Current collaborators housed at the Munich tech lab include Avnet, BMW, BNP Paribas, Capgemini and Tech Mahindra. With over 1,000 employees and clients using the space, the Watson IoT system within the building is optimised for hot desking. 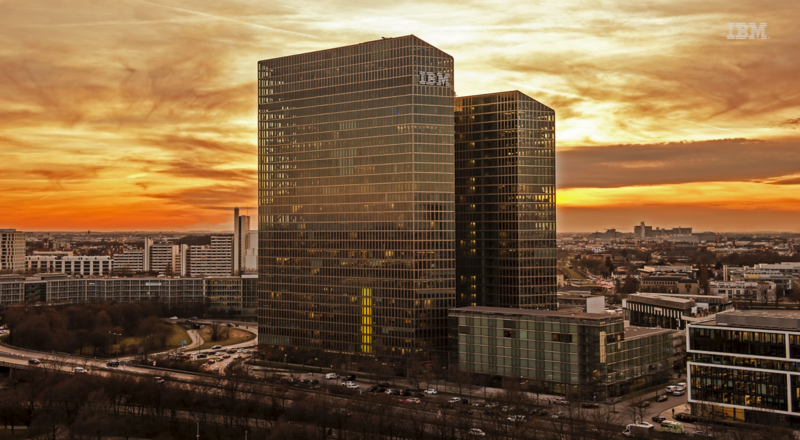 IBM’s ‘digital twin’ is key to this. Each person has a unique digital identity, and the system can detect who is in which seat, and sets the heating and lighting conditions to his or her preferences. To find out more about The Internet of things click here! The IBM Team made me feel very welcome and I look forward to working with them again very soon. Contact us if you have an international conference or event you would like filmed ,then please contact us for travel rates and a custom quote!